Oh crab cakes…how I both love and hate thee. As I mentioned last week when I posted this shrimp recipe, it took me a while to eat crab. I wanted to like crab cakes but each time I tried them, I couldn’t get past the fishiness. Well, now I’m completely hooked and eat them pretty often so I officially love them. What I hate about them is making them at home. Does anyone else struggle with crab cakes like me? It never fails, but my crab cakes always fall apart, no matter if I follow the recipe to a tee. Argh! Some of these Crab Cakes with Spicy Remoulade fell apart but they were awesome regardless. Crab meat is made tasty with bell pepper, scallions, egg, panko, and mayonnaise before being cooked in a little bit of oil until golden and crispy. 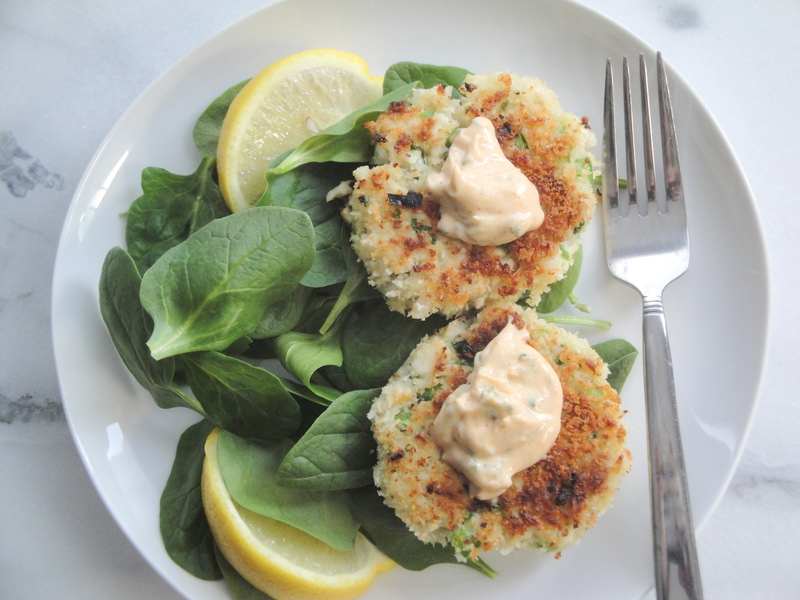 A creamy remoulade of mayo is spiced up with cayenne pepper which is not only fantastic with these crab cakes, but also with anything else you want to add a little zing to. Even though I expressed quite a few expletives as I made these crab cakes and vowed never to try to make them at home again, it all subsided once I took my first bite. These crab cakes are light and full of flavor, thanks mostly to the scallions, and the spicy sauce is a perfect little addition. I’d love to make these again but I guess next time I’ll do some yoga, drink some tea, or meditate a bit before attempting to flip crab cakes again. If you like this, also check out Crab Cakes with Spicy Mustard Sauce. 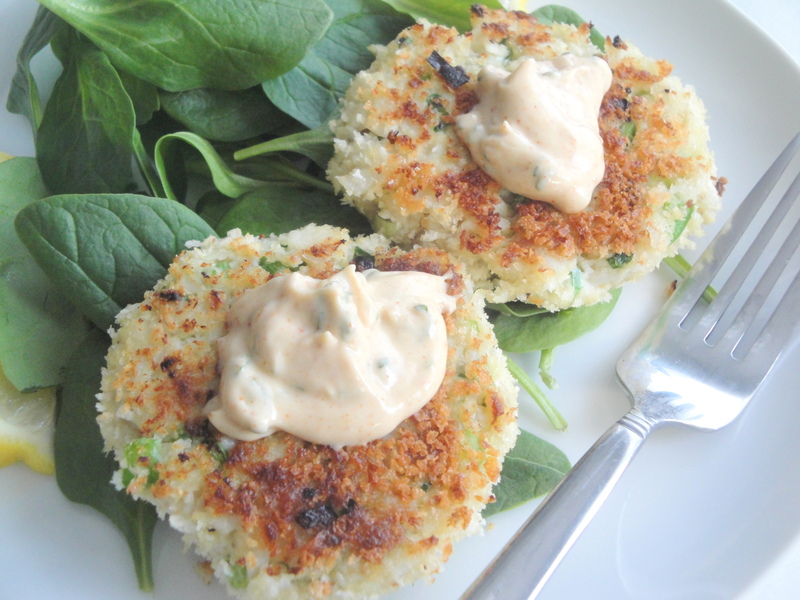 To prepare crab cakes, drain crabmeat on several layers of paper towels. Combine crabmeat, bell pepper, and the next 4 ingredients (through egg), tossing gently. 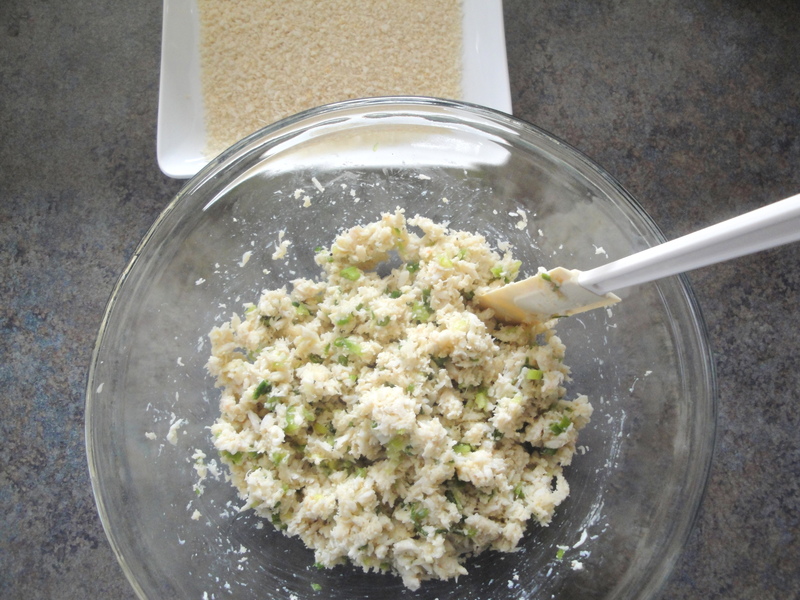 Stir in 1/4 cup panko. Place remaining 3/4 cup panko in a shallow dish. Divide crab mixture into 8 equal portions. 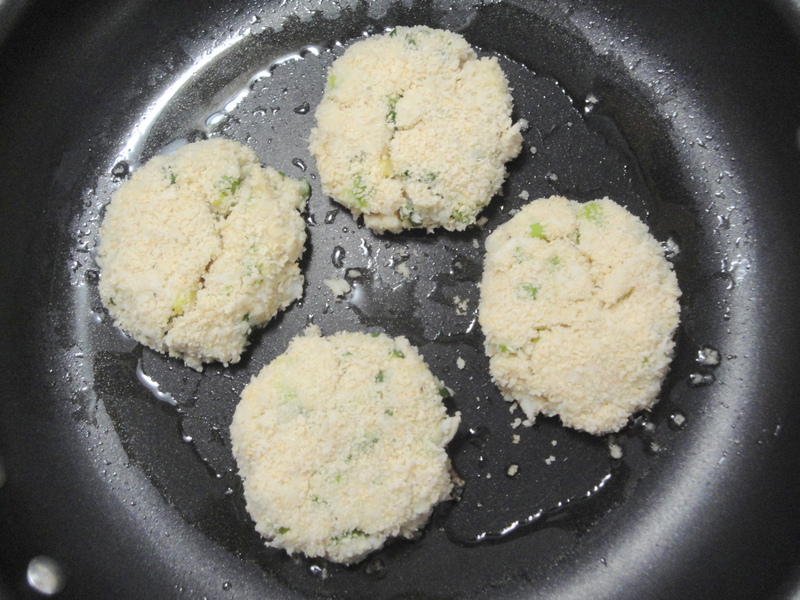 Shape 4 portions into 3/4-inch-thick patties; dredge in panko. Heat a large nonstick skillet over medium-high heat. Add 1 tablespoon oil. 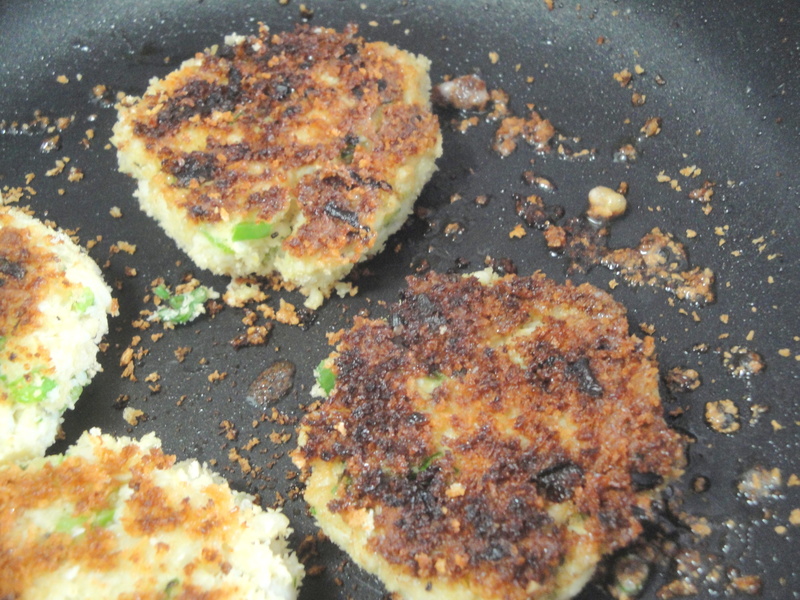 Add dredged patties; cook 3 minutes on each side or until golden. Remove from pan. 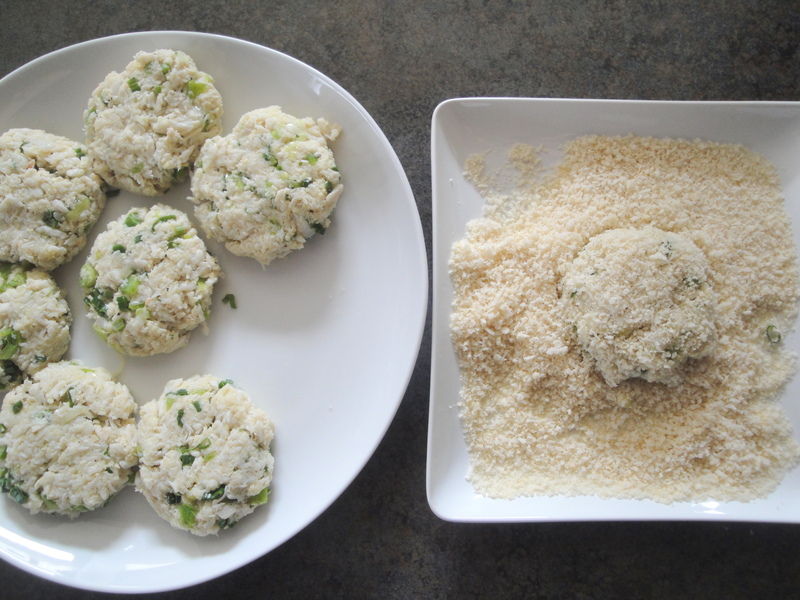 Repeat procedure with the remaining crab mixture, panko, and oil. 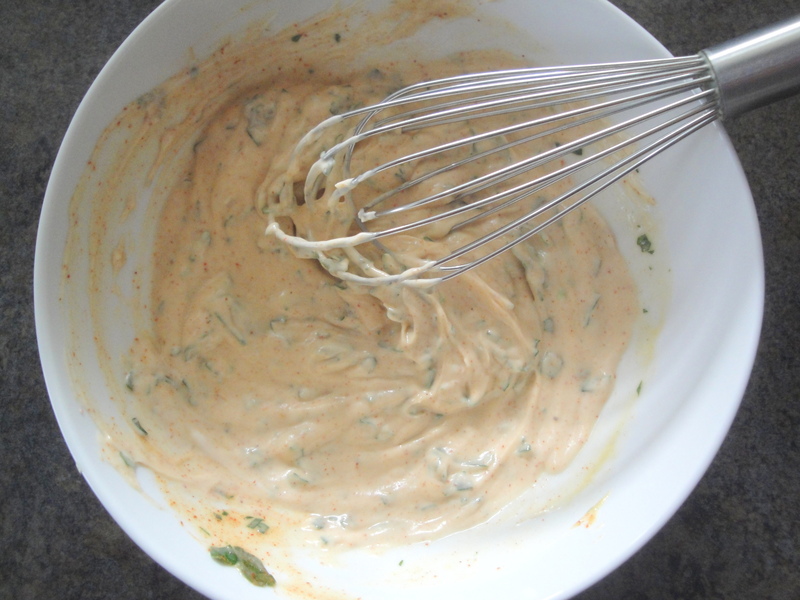 To prepare rémoulade, combine 1/4 cup mayonnaise and remaining ingredients; serve with crab cakes.